February 14th, Valentine's Day, is well known for being marked as the day of love. 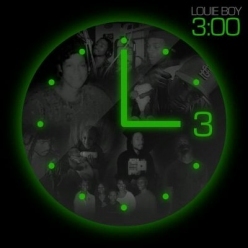 In St. Louis, Missouri, Valentine's Day, 1988 became marked as the birth of a baby named Louie Boy (aka Lz). With music flowing through his body before his first breath, it was only a matter of time for him to pick up a pad and start writing. Growing up on West coast and down south music, he transitioned and developed a sound of his own. Since then, it has been a long, strenuous journey of entertaining and performing, as well as completing his 1st solo project entitled "The 3:00 Mixtape" which dropped last year. From club bangers, laid back joints, and personal situations you will need to buckle up for the underground rollercoaster of "The 3:00 Mixtape". 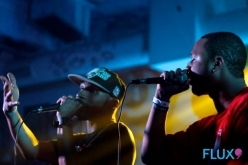 With the release of this project, and a collaboration project with Bo Dean "Enuff Said", Louie Boy has no doubt imprinted his name in the minds of all the hip hop heads in your city.Recently opening up for national acts like Rakim, Twista, Bone Thugs n Harmony and many more, the road to success has just begun. Keep your ear out for future projects "Dysfunctional Family" and "Cloud 3" which drops in 2014, from this up and coming artist who goes by the name LO-UI-E BOY! THIS TOUR WILL BE HOSTED BY FREE WAY RICKY ROSS (THE REAL RICK ROSS). AS HOST RICK ROSS WILL BE SPEAKING AT YOUTH CENTERS & EXPRESSING IN EACH CITY HOW WE CAN COME TOGETHER AND MAKE MONEY INDEPENDENTLY & HOW TO REACH NEW FANS AND SALE THEIR MERCHANDISE WITHOUT VIOLENCE AND GUNS. SPECIAL GUEST PERFORMANCES FROM BIG MIKE OF THE (GETO BOYZ) & SPICE 1. A CERTAIN AMOUNT OF THE PROCEEDS WILL BE DONATED TO THE SHOW'EM WHAT YOU GOT FOUNDATION FOR (PUT DOWN THE GUNS). As we reach the middle of the year, we have received an update on the Step Or Get Left movement and their plans for this year. Coming off of SOGL member Bo Dean being honored at the S.L.U.M Fest Music Awards as Best Male Artist of the Year in January, he drops the highly anticipated video for "ChiChi" next week. New music has dropped from Hystory "Laugh At Ya" this month, be sure to download it. 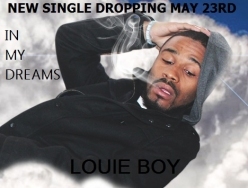 Louie Boy has been prepping the release of his next singles, "In My Dreams" coming soon. Also on the look out for the new singles from TyLan and View.